What Are My Rights When My Property Is Infested With Pests? Home / Help & Advice / Repairs and safety / A Tenant Asks: What Are My Rights When My Property Is Infested With Pests? A Tenant Asks: What Are My Rights When My Property Is Infested With Pests? We received a couple of questions in the last few days about infestations of various kinds of vermin in a rented property. “My girlfriend and I signed a 12 month contract last week to rent a 1 bed flat in north London. Upon moving in we noticed the place stinks. The landlord revealed there is a dead rat in the wall and offered to refund us a week’s rent. “I currently live in a flat with my wife and 2 year old, we’ve been here for 2 years and are in the process of moving out as we’re emigrating. Who is responsible for pest infestations ? Before you do anything else, you must first look for information in the tenancy agreement. It’s not often that tenancy agreements include pest infestations, but more thorough ones will and there you will find the exact steps on how to proceed further. If yours doesn’t treat the problem like a health hazard, which it is, and look for clues about that one in the tenancy agreement. Unlike most problems in rented properties, pests are difficult to attribute to either the landlord or the tenant outright. There are thousands of reasons why your property might be infested, ranging from disrepair to lifestyle to an external cause. To find out who is responsible, you need to find out how the pests got into the property and why. When is the landlord responsible ? The landlord is required by law to repair and maintain the property and remove all hazards. This is their legal duty and you pay for that service with your rent. Thus, when rats or other pests are getting in the property due to any disrepair, it’s automatically the landlord’s job to repair that area and treat the infestation problem as well. Different kinds of pests are attracted to a huge list of things, so it’s likely that you will need to get in an inspector to identify the cause and the entering point. It’s important that they are fixed before the property is treated for pests, as otherwise, you’d be treating the symptom, not the problem and the symptom will re-appear. Holes or gaps in external walls – If there is any hole or gap where pests can come in the property, rest assured they will. You home is like an oasis for all kinds of pests. There is warmth, protection, food, water – perfect condition for a pest to invade. If there are gaps or holes leading to the crawl space, basement or attic of the property, the pests will let themselves in and then slowly make their way into the rest of the house. As Kenny discovered dead rats into the walls of his newly rented property, we can mostly conclude that they have found an exposed entry point in the house and then made their way into the walls, eventually causing some of the most disgusting messes we can think of. In this case, the infestation has nothing to do with Kenny, his girlfriend and their lifestyle. The landlord is fully obliged to treat the problem, make sure there are no more entry points and the smell is removed. 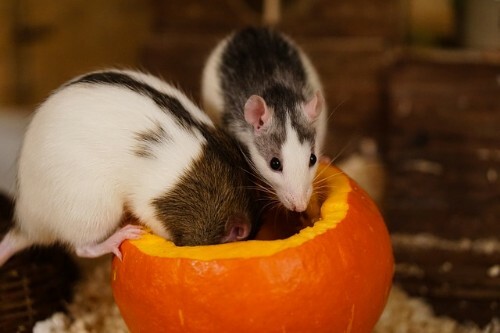 The fact that they have just moved into the property further supports that they are not the reason for this rat problem. Leaking pipes – Leaking pipes cause damp, mould and rot. These moist conditions are the perfect for rats to spread in searching for food and shelter. In fact, any kind of damp issue, whether it comes from the pipes, the ground, the sewers, or the gutters, will likely draw in insects and rats to your house. Shooting back to Peter’s Silverfish problem, a simple Google search reveals that Silverfish are attracted to wet and damn places, such as the bathroom. Having that information and the fact that the problem persisted through all six years, as confirmed by the previous tenants, we can instantly conclude that there is a lot of damp in the property. The landlord obviously hasn’t treated the property for damp, and likely it’s missing key ventilation equipment or even proper insulation that allows rising damp in the property. Whatever it is, it’s not Peter’s fault. When the landlord is determined to be the cause, this issue should be treated just like any health hazard in the property. You should contact the landlord and inform them that there are pests and that the inspections has determined that a disrepair has caused the infestation. You should request them to hire a pest control service and deal with the problem. However, as you need to be away during the fumigation, you should also negotiate a discount on monthly rent for the time you’ve been away – typically 3 days to a week. If your landlord is reluctant to deal with the infestation, you may contact the local council. There, seek the help of the Environmental Health Department, which are responsible to enforce proper living standards in rented accommodations. They will appoint an inspection to determine the severity and cause of the problem and will serve your landlord with a mandatory improvement notice with a fixed period for doing the repairs. If the landlord ignores them again, they will suffer a salty fine. In the worst case scenario, the landlord may even be ordered to close the property as it does not fit the minimum living standard. When are tenants responsible ? Furthermore, you may have accidentally brought them in from somewhere else – for example a holiday, business trip or even visit to your relatives. This is actually the most common way to get bed bugs. They easily travel in clothes, suitcases, etc and only one fertile female bed bug is enough to start a massive infestation that will have you throwing away mattresses, furniture and clothes, all expensive to replace. When tenants are determined to be the reason for pests in the property, they must cover the expenses for pest control services and treatment as well as additional costs for accommodation, as the property will likely need to be fumigated.